660BC Traditional founding of Japan by Emperor Jimmu Tenno. 0641 Death: Heraclius, emperor of Byzantium. 1141 Death: Hugo van St-Victor, philosopher, theologist, mystic. 1380 Birth: Gianfrancesco Poggio Bracciolini, in Italy, humanist. 1531 Henry VIII is recognized as supreme head of the Church in England. 1573 English explorer Francis Drake first views the Pacific Ocean. "...Sir Francis Drake (1545-96) was the first Englishman to sail around the world and took a leading part in defeating the Great Armada sent by Spain to invade England. He made three profitable voyages to the New World, plundering Spanish settlements and destroying Spanish ships. In 1572, he made he made a daring march across the Isthmus of Panama. From a high tree he caught his first glimpse of the Pacific Ocean. Drake's great voyage around the world, from 1577 to 1580, had the secret financial support of Queen Elizabeth I and the war party in her council. They hoped it would end the Spanish monopoly of trade in the Pacific. It was 85 years after Columbus had discovered the Americas and the Spanish and Portuguese had a hold on all the gold coming out of the New World. Drake's official mission was to plunder the gold laden Spanish galleons and to establish trade links with East Asia..."
1575 King Frederick of Denmark offers the island of Hveen to Tycho Brahe. 1657 Birth: Bernard le Bovier sieur de Fontenelle, in France, scientist, French philosopher, writer; Plurality of Worlds. 1685 Death: David Teniers III, Flemish painter, at 46. 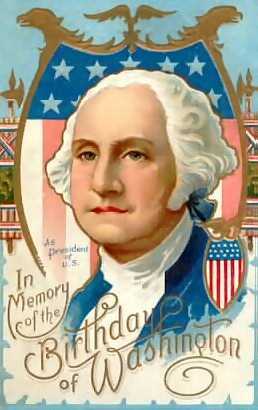 1732 Birth: George Washington, future 1st president of the USA, in Pope's Creek, Wakefield, Westmoreland County, Virginia. "...Born in 1732 into a Virginia planter family, he learned the morals, manners, and body of knowledge requisite for an 18th century Virginia gentleman. He pursued two intertwined interests: military arts and western expansion. At 16 he helped survey Shenandoah lands for Thomas, Lord Fairfax. Commissioned a lieutenant colonel in 1754, he fought the first skirmishes of what grew into the French and Indian War. The next year, as an aide to Gen. Edward Braddock, he escaped injury although four bullets ripped his coat and two horses were shot from under him. From 1759 to the outbreak of the American Revolution, Washington managed his lands around Mount Vernon and served in the Virginia House of Burgesses. Married to a widow, Martha Dandridge Custis, he devoted himself to a busy and happy life. But like his fellow planters, Washington felt himself exploited by British merchants and hampered by British regulations. As the quarrel with the mother country grew acute, he moderately but firmly voiced his resistance to the restrictions. When the Second Continental Congress assembled in Philadelphia in May 1775, Washington, one of the Virginia delegates, was elected Commander in Chief of the Continental Army. On July 3, 1775, at Cambridge, Massachusetts, he took command of his ill-trained troops and embarked upon a war that was to last six grueling years. He realized early that the best strategy was to harass the British. He reported to Congress, "we should on all Occasions avoid a general Action, or put anything to the Risque, unless compelled by a necessity, into which we ought never to be drawn." Ensuing battles saw him fall back slowly, then strike unexpectedly..."
1752 Through the efforts of Benjamin Franklin, the Pennsylvania Hospital opens; the very first hospital in America. 1755 Severndroog and other key towns on the coast of India are taken by the British. 1765 Wig makers petition George III for financial relief as the male fashion of wearing wigs begins going out of style. 1793 England declares war on France, 1793-1802. 1793 Prussian troops occupy Venlo. 1794 The first session of the US Senate is opened to the public. 1800 Birth: William Henry Fox Talbot, English physicist, chemist, a developer of photography. 1802 Birth: Lydia Maria Child, US author, abolitionist; Juvenile Miscellany. 1809 Robert Fulton patents a steamboat. 1812 Birth: Alexander Hamilton Stephens, Vice President of the Confederacy. "...Alexander Hamilton Stephens, Vice-President of the Confederate States---a man eminent in natural abilities, in intellectual training, in statesmanship and moral virtues---grandson of a soldier under Washington--was one of that body of great men who stood firmly by the venture on independence made by the Southern people in 1861. He was born February 11, 1812, in Georgia, near Crawfordsville, where he is buried, and where a monument erected by the people speaks of his fame. Educated during his early youth in the schools of the times, he was graduated in 1832 at the age of twenty years, and was admitted to the bar in 1834. His practice of the profession scarcely opened before he was summoned to enter on the long and distinguished political career which gave his name an exceedingly prominent place in American history. After declining political honors and seeking to pursue without interruption a professional life, he was nevertheless forced by his constituency to represent them in political office. His county sent him in 1836 to the State legislature, repeated their selection until in 1841 he positively declined re-election. But in 1842 he was chosen State senator. His record as a State legislator shows him diligent in protecting all common interests, and in advancing the State's material welfare. 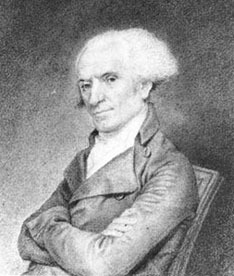 His earliest course in public life at once foreshadowed that career in which he won the title of The Great Commoner..."
1812 Massachusetts governor Elbridge Gerry signs a law changing the state's electoral boundaries to ensure a Republican majority. The move gives rise to the term gerrymandering. 1814 Norway's independence is proclaimed. 1833 Birth: Melville Weston Fuller, 8th US Chief Justice. 1839 Birth: Josiah Willard Gibbs, theoretical physicist, chemist, Yale professor. 1841 Death: J.H. Ferdinand Olivier, German painter. 1847 Birth: Thomas Alva Edison. "...Contrary to popular belief, Thomas Edison was not born into poverty in a backwater mid-western town. Actually, he was born -on Feb. 11, 1847 - to middle-class parents in the bustling port of Milan, Ohio, a community that - next to Odessa, Russia - was the largest wheat shipping center in the world. In 1854, his family moved to the vibrant community of Port Huron, Michigan, which ultimately surpassed the commercial preeminence of both Milan and Odessa....At age seven - after spending 12 weeks in a noisy one-room schoolhouse with 38 other students of all ages - Tom's overworked and short tempered teacher finally lost his patience with the child's relatively self centered behavior and persistent questioning.... Noting that Tom's forehead was exceptionally broad and his head was larger than average, he made no secret of his belief that the hyperactive youngster's brains were "addled" or scrambled. If modern psychology had existed back then, Tom would have probably been deemed a victim of A D S (attention deficit syndrome) and proscribed a hefty dose of the "miracle drug" Ritalin. Instead, when his beloved mother - whom he recalled "was the making of me... [because] she was always so true and so sure of me and always made me feel I had someone to live for and must not disappoint." -became aware of the situation, she promptly withdrew him from school and began to "home-teach" him. Not surprisingly, she remained convinced her son's slightly unusual physical appearance and demeanor was simply a sign of his intelligence..."
1861 US Civil War: President-elect Abraham Lincoln and his wife leave Springfield, Illinois by train for Washington, DC. 1861 US Civil War: The US House unanimously passes a resolution guaranteeing noninterference with slavery in any state. 1867 Birth: August W. Messer, German philosopher, educator, psychologist. 1868 Death: Jean B.L. 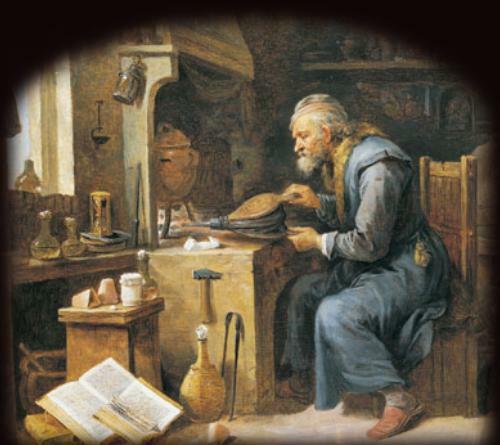 Foucault, French physicist; sway proof, discovered first physical proof of Earth's rotation. 1873 Amadeo, king of Spain, abdicates, leading to the proclamation of the first Spanish republic. 1879 Death: Willem J. Van Zeggelen, author, novelist, writer, at 67. 1887 Birth: John van Melle, South African writer (Dawid Booysen). 1888 Lobengula, King of the Matabeleland in southern Africa, enters into an agreement with the British government on mineral rights. 1889 The Japanese constitution is granted, with a two-chamber parliament, but the Emperor retains extensive powers. 1898 Owen Smith of North Carolina, an AME Zion minister, is named as minister to Liberia. 1898 Birth: Leo Szilard, in Hungary, physicist, A-bomb worker, peace activist. 1908 Birth: Vivian Fuchs, British geologist. 1911 Death: Albert von Rothschild, baron, Austrian banker. 1912 Birth: Roy Fuller, in England, poet, novelist; Lost Season. 1916 Emma Goldman is arrested for lecturing on birth control. 1919 Weimar: Friedrich Ebert is elected first president of the German republic. He will help bring about the Weimar constitution that will try to unite Germany after WW1. 1920 Birth: Daniel Galouye, US sci-fi author; Dark Universe, Last Leap. 1920 Birth: King Faroek I, last King of Egypt, 1936-52. 1920 In Romania, Corneliu Codreanu and labor leader Constantin Pancu forcibly seize a factory from the Communists. 1921 Birth: Lloyd Bentsen, Senator-D-Texas since 1971, 1989 Democratic Vice President nominee. 1922 The US intervention army leaves Honduras as the country is declared an independent republic. 1925 Birth: Virginia E. Johnson, psychologist, doctor, sexologist; Masters & Johnson. 1926 The Tokelau (Union) islands in the South Pacific are transferred to New Zealand. 1927 Weimar: Hitler and Goebbels speak at Pharus Hall in Berlin. 1929 The Lateran Treaty is signed by Benito Mussolin for the Italian government and Cardinal Pietro Gasparri for the papacy. It settles the vexatious question of the relationship between the Holy See and Italy. The papacy accepts the loss of the Papal States, while Italy recognizes the Vatican City as an independent state. A financial settlement is also involved. 1931 Death: Charles Algernon Parsons, British inventor; steam turbine. 1934 The Austrian Antisemitenbund (Antisemitic Association) sets out its anti-Jewish program. 1937 A 44-day sit-down strike at General Motors in Flint, Michigan comes to an end. 1938 Birth: Manuel Antonio Noriega, Panamanian general, dictator, convict. 1939 Birth: Jane Yolen, US sci-fi author; Spider Jane, Heart's Blood. 1940 WW2: The Germans and Soviets sign a further trade and economic agreement. 1941 Death: Rudolf Hilferding, German economist, Minister of Finance SPD, by suicide. 1945 WW2 Allied Official Communique: "It is our inflexible purpose to destroy German militarism and Nazism and to ensure that Germany will never again be able to disturb the piece of the world. We are determined toâ€¦bring all war criminals to just and swift punishment and exact reparations in kind for the destruction wrought by the Germans." 1945 Death: J.S.H. Lokerman, resistance fighter (in Neuengamme). 1953 Birth: Jeb Bush, Governor of Florida. 1953 President Eisenhower refuses a clemency appeal for the Rosenbergs. 1958 Marshal Tsjen Ji succeeds Tsjoe En-lai as Chinese Minister of Foreign affairs. 1960 Talk-show host Jack Paar walks off his late-night television show in protest of censorship. The censors had repressed one of his jokes from the previous night's airing. 1961 The trial of Adolf Eichmann begins in Jerusalem. 1964 Greeks and Turks begin fighting in Limassol, Cyprus. 1964 Taiwan drops diplomatic relations with France. 1965 The Nam: US and South Vietnamese planes make the first bombing raids on North Vietnam. 1968 The new 20,000 seat Madison Square Garden officially opens in New York; the fourth arena to be named Madison Square Garden. 1968 A border dispute between Israel and Jordan begins. 1971 40 nations sign a treaty banning atomic weapons from the sea bed. 1972 Death: John Wils, architect; Olympian Stadium, Amsterdam. 1973 Death: Hans D. Jensen, German physicist; Nobel prize, 1963. 1974 A Titan-Centaur test launch fails. 1975 Margaret Thatcher becomes the first woman leader of a British political party, after she defeats Edward Heath for Conservative (Tory) leadership. 1975 In the Malagasy Republic, President Richard Ratsimandrava is assassinated after only six days in office. 1976 Britain and the Organization of African Unity recognize the Popular Movement for the Liberation of Angola. 1979 Iranian Prime Minister Dr. Shahpur Bakhtiar resigns after two days of fighting in the streets of Tehran. 1984 The 10th space shuttle mission (41-B)-Challenger 4 - returns to Earth. 1985 Jordan king Hussein and PLO leader Arafat sign an accord. 1986 Death: Frank Herbert, sci-fi author; The Jesus Effect, Dune. 1986 In an East-West exchange of prisoners in Berlin, Anatoly Shcharansky is released from the Soviet side. 1986 Iran begins a major offensive against Iraq. 1987 Corazon Aquino is sworn in for a six-year presidential term under the new Philippine constitution. 1991 UNPO, Unrepresented Nations & People Organization is formed in the Hague, Netherlands. 1991 Death: Oscar Nitzchke, German architect; Alcoa building. 1992 One police officer is killed and four persons injured in a terrorist attack on the US ambassador's residence in Lima, Peru. 1993 President Clinton nominates Florida prosecutor Janet Reno to the post of US attorney general. 1993 A 20-year-old Ethiopian student hijacks a Lufthansa airliner en route from Frankfurt, Germany, to Cairo. He forces the pilot to fly to New York City, where he surrenders peacefully. 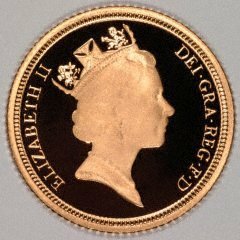 1993 British Prime Minister John Majors declares that Queen Elizabeth II will pay income tax on all her personal income, as well as being subject to capital and inheritance levies. 1993 Former prime minister Bettino Craxi resigns as leader of Italy's Socialists over a corruption scandal that had rocked the government. 1994 The UN commander in Sarajevo accuses renegade troops of trying to sabotage a ceasefire in the city as warring Muslims and Serbs begin to turn in some of their heavy weapons. 1994 Five astronauts and a cosmonaut return to Earth aboard the Space Shutttle Discovery after the first joint US-Russian space shuttle mission. 1994 President Clinton announces that US-Japanese trade talks have failed to reach an agreement.